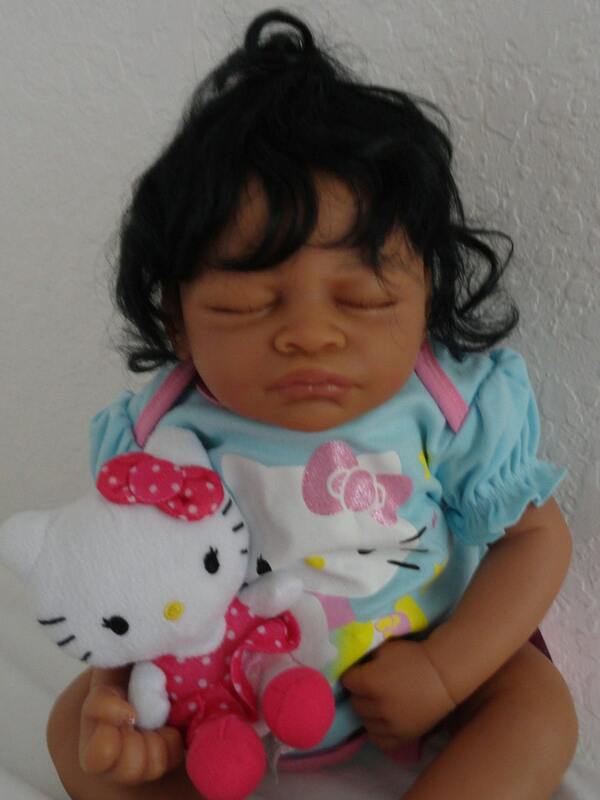 She will come in a baby diaper, baby onesie, infant hat, and a plush toy or lovey to to hold. 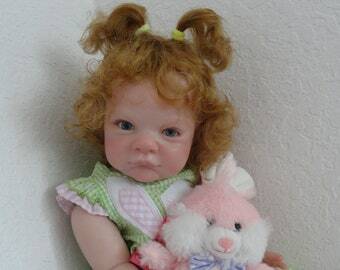 I will enclose a reborn certificate with her name left blank in case you'd like to rename her. International Buyers: taxes your country may impose will not be included. Those are your responsibility and will need to be paid when your package arrives. I only charge what it costs me to ship your package. I've been told by buyers that it's cheaper to do it that way, so unless you request Ebay's Global shipping, I'll send your package with USPS Priority mail. 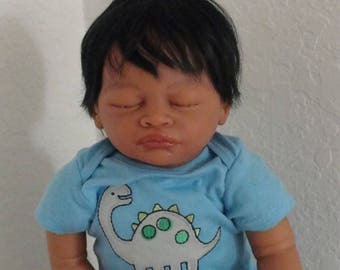 Reborn 22" Pouty Toddler Girl Doll "Precious"
Reborn 22" Ethnic/Biracial/Hispanic Toddler Boy Doll "Daniel"
Reborn Ethnic/Biracial/AA/African American Toddler Girl Doll "Jackie"
Febe Francine arrived and she is precious? Her hairstyle, face, outfit, weight:all perfect! Thank you so much for making this for my 6yr old. 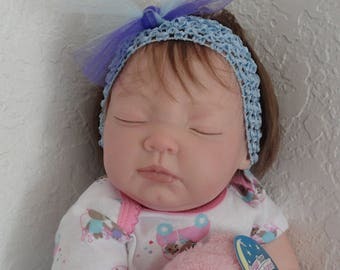 Reborn "Realborn" Toddler Girl "Emmy" -made to order! I offer a non hassle refund policy. As long as the item is in the same condition as received, and not exposed to smoke or other odors, you may return. Return must be initiated within 2 weeks of receiving your item. A 15% restock fee will be charged, and you must ship item at your expense. There are no returns on custom or personalized orders. When offering US Shipping, only tracking info is provided. 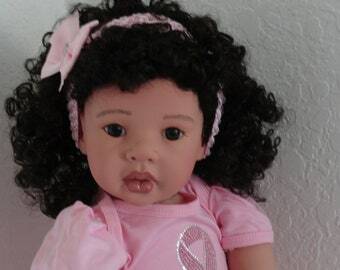 If you desire special services such signature delivery or expedited shipping, please let me know when you order. Additional charges may apply. International buyers should note that taxes/fees your country charges are not collected by me. 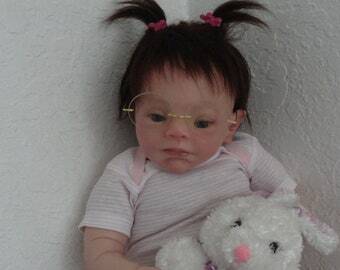 You may be asked to pay this when the doll arrives. 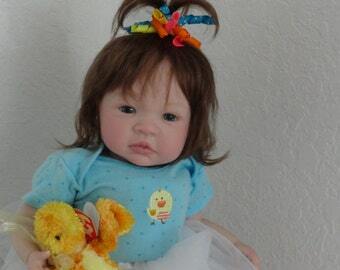 Reborn Chubby Baby/Toddler Girl Doll "Gianna" from 6+ mos. "Grant" sculpt-ready now! 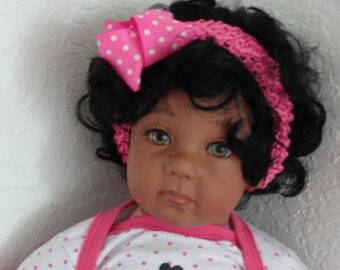 Reborn African American Toddler Girl Doll "Amani"-ready to ship! 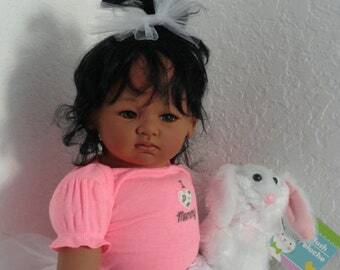 Reborn 22" Biracial Toddler Girl Doll "Hosanna"- customizable! 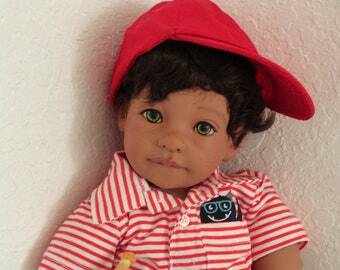 Reborn African American/Ethnic/Biracial Preemie Boy Doll "Lollipop"